NLP Courses for Business and Professional People. Results Guaranteed. Our certified ‘In House’ NLP courses offer business and personal success with a ‘No Quibble’ guarantee. Our highly effective courses have been developed and tested over 12 years with the highest calibre delegates. Our In House NLP courses are normally for between 3 and 15 people. They consist of modules from 2 days for an NLP Foundation to 26 days for NLP Business Master Practitioner. Our training is accredited by NLP Co-founder Richard Bandler and the Society of NLP (SNLP). We also provide 1:1 NLP training for individuals. 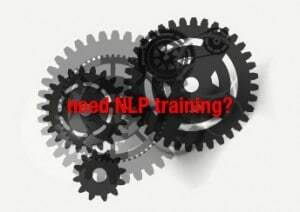 See our NLP Training pages. Become an SNLP Accredited NLP Practitioner by taking the 2-Day NLP Foundation, 3-Day NLP Basics, and 3-Day NLP Accreditation modules. NLP Master Practitioner and Business Master Practitioner Accreditation. Take your NLP Accreditation further by qualifying as a Master Practitioner or a Business Master Practitioner. Once you have completed your NLP Practitioner level, taking another 3 modules means you can apply for accreditation as a Master Practitioner. Another two on top of that (5 extra in total), leads to Business Master Practitioner. The modules you can choose from are NLP Change Management, NLP Coaching, NLP Hypnotic Influence, NLP Leadership, NLP Presenting and NLP Sales modules. Each takes 3 days to complete. Professional Development Courses for current NLP Practitioners and Master Practitioners. We run quarterly, quality, affordable 1-Day development courses for current delegates, practitioners and master practitioners. As these NLP workshops are restricted to just 12 people, we recommend you book early. As well as offering accreditation by NLP co-creator Richard Bandler, our In-House NLP courses come with a full no-quibble guarantee. We will happily refund your investment in full if we don’t beat your expectations. This is subject to you agreeing your objectives with us beforehand and paying at least two weeks before the start of any module. Please let us know in writing within seven days of the end of the module. No one has ever taken us up on this offer.